life's journey, You are welcome at St. Mark! God Is Still Speaking through our diverse faith family as we welcome all - regardless of race, economic background, marital status, gender identity or sexual orientation, age, physical or mental ability, nationality or faith history. We embrace change and growth as we respond to the needs of the environment, our community and neighbors throughout the world. 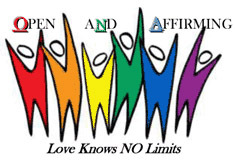 We are an open and affirming congregation that encourages and incorporates the gifts of all members. We invite everyone to join us on the journey as we faithfully celebrate and serve Jesus Christ. We extend our loving and extravagant welcome to you!